Axiom makes it simple to view your operations. 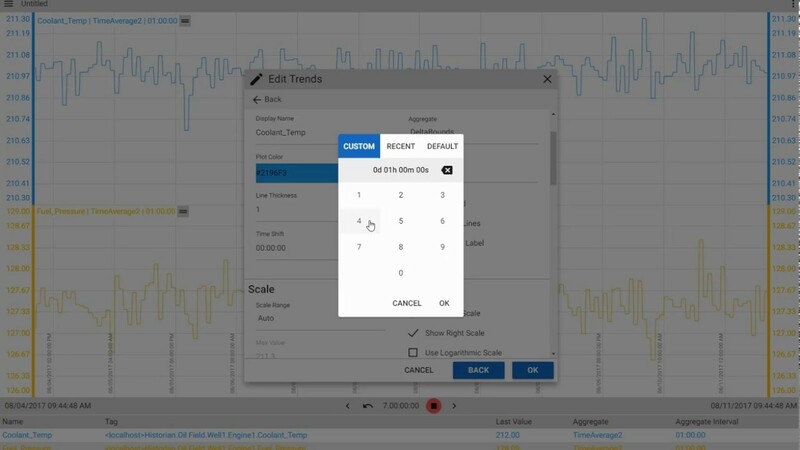 Still the most advanced trending tool on the market, but now easier than ever to build custom dashboards. Redesigned for use on any device. 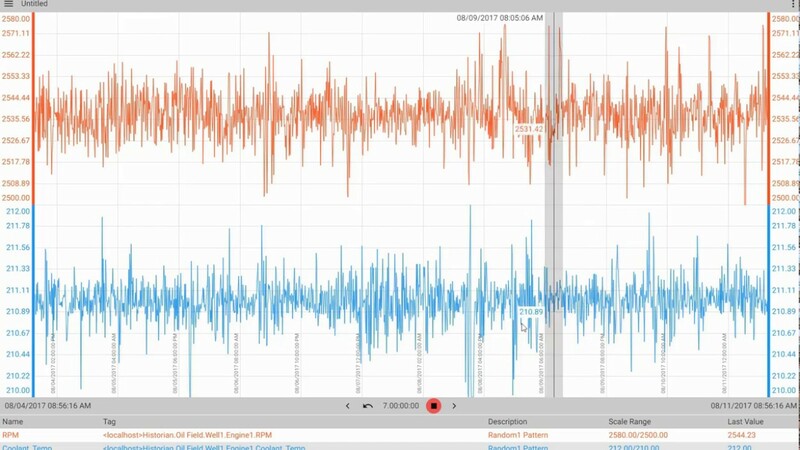 Axiom is the best visualization tool we've ever created. Crafted to provide a superior user experience. Our newest release, Version 18, includes a dashboard editor, asset models, events, and themes. Connect with your browser to make live edits anytime. 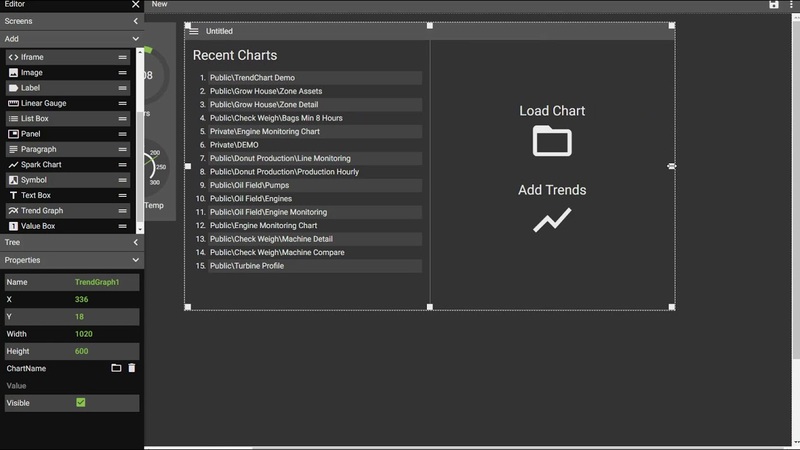 A simple “drag and drop” design makes anyone a pro at laying out dashboards. New controls allow for even more functionality. C# programmers can use the script editor for advanced applications. 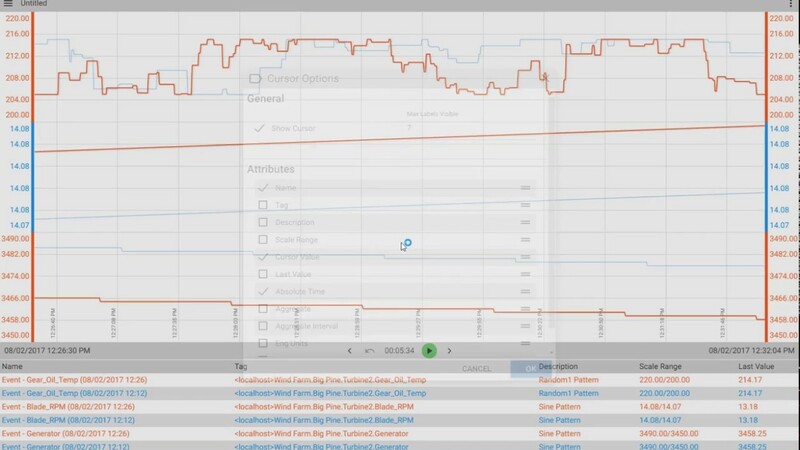 View your data based on equipment type with the new Asset Model view. 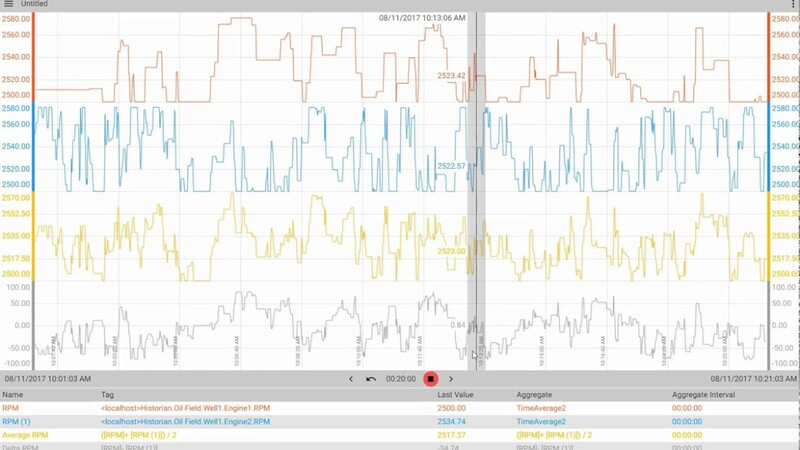 Compare trends of engines, pumps, compressors, or any other piece of operation equipment. Build one dashboard for a specific asset and quickly move between similar assets. Use the new Events feature to compare multiple events and spot key differences. Select any event stored in the Event service and events will overlay on the trend graph with a uniform start time. Create better looking dashboards with style flexibility. Controls are now styled with themes. Axiom has 3 themes to choose from. Dark, Light, and Canary. 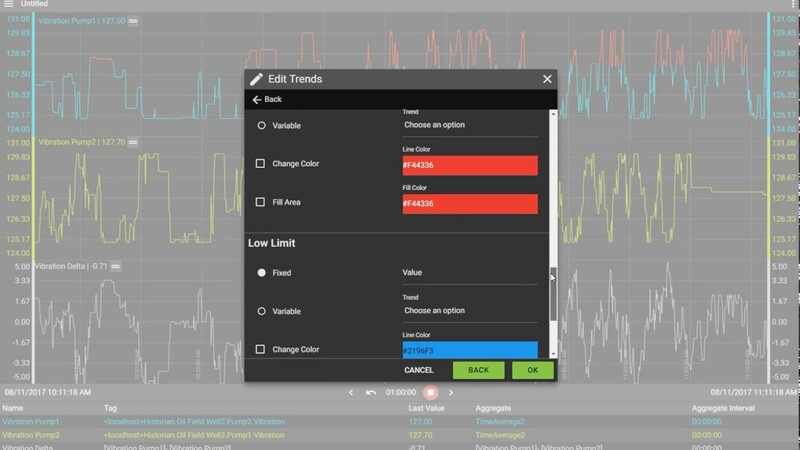 Our trend tools are the best on the market. With more than 30 years of experience, we've added features you may not even know you need. 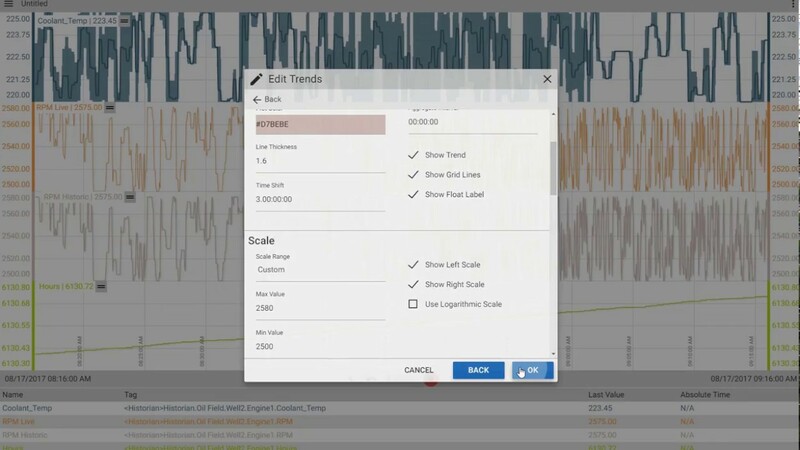 Here are some examples to demonstrate the power our trend tools provide. 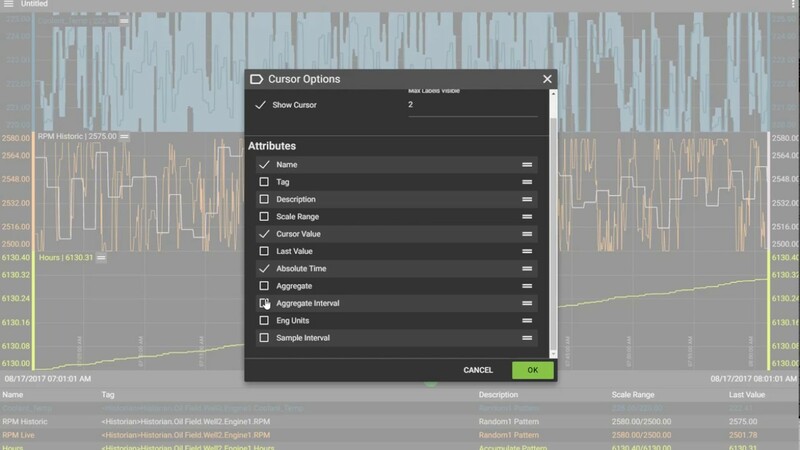 Quickly add and remove trends using a simple selection tool. Browse and search through multiple historians to find the exact tags you want. Quickly transform raw data into aggregated data. Select from over 30 aggregates like TimeAverage, Max, Min, Total, Delta, and more. Build calculations on the fly. Use multiple trends and mathematical operators to create custom equations. 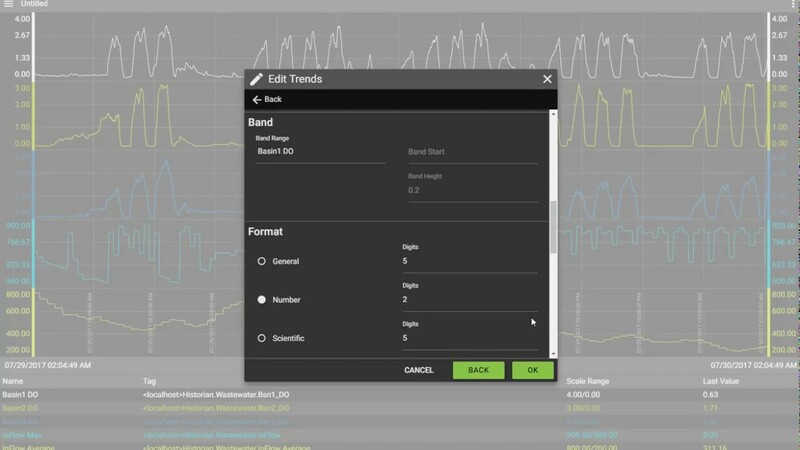 Trends can be displayed within the same band area so they are easy to compare. Scales can be independent or linked. Create visual limits on trends that can be defined by a set point or another tag's value. Easily change time resolution, move to different dates, and enter into “live mode”. Time shifting trends gives you the ability to compare trends with their previous historical values. 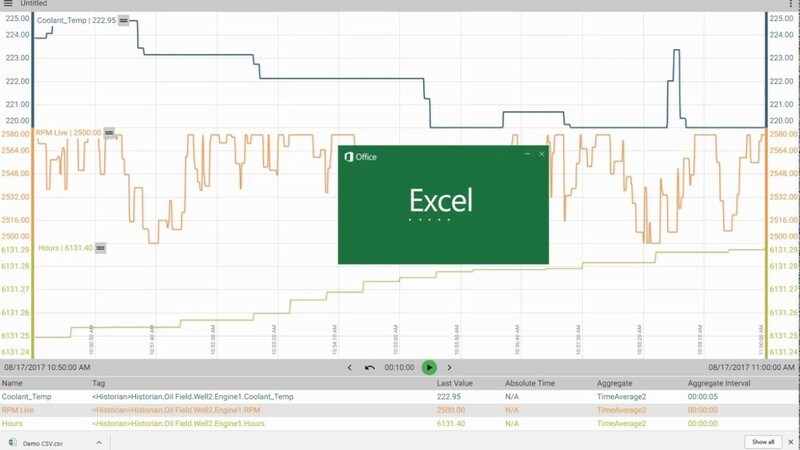 Capture all data and export as a .CSV file for later analysis. Compare multiple events from the Events service. 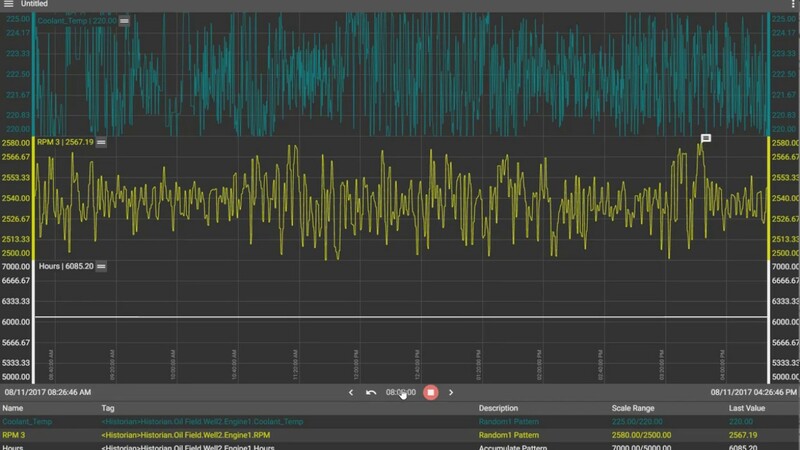 Each event is overlaid to make it easy to spot anomalies. Move your mouse, or finger, across the trend area to see various attributes at the specified location. After you build a chart, save it so you can reload it again later. 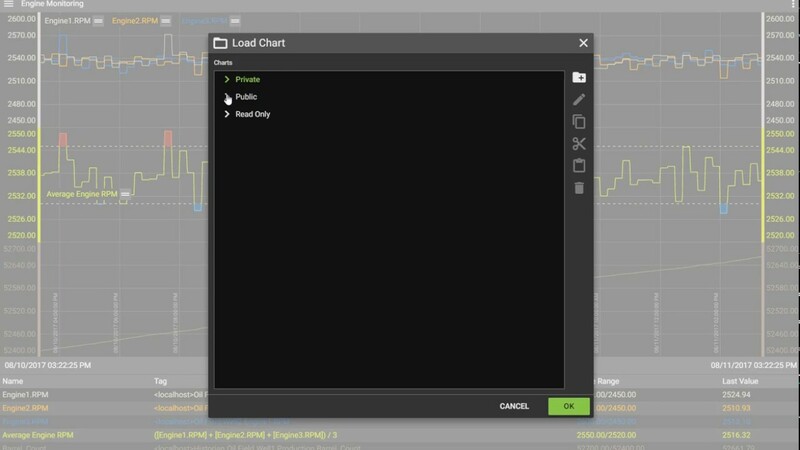 Charts can be saved in a private user folder, or a public folder that can be shared with co-workers. Annotate trends with notes that are visible to all users. Designed from a mobile-first perspective, enjoy your Axiom experience on a phone, tablet, laptop, or desktop device. Designed for use with Asset Model, the asset label displays the current asset on screen. Switch assets and the label updates. Navigate to other screens or trigger C# scripting code in advanced applications. One of many controls that displays the current value of a tag. High and low limits can be set to indicate when the value is approaching a limit. A donut gauge is a great way to show the current value of a tag. High and low limits can be set to indicate when the value is approaching a limit. Quickly build a table of controls. Define the number of columns and widths then drop controls onto the grid. Formatting is automatic! Personalize your dashboard by uploading images. Position as desired and set properties for alignment and stretch. Labels have been designed to display text in a single line. Use a paragraph control for multiple lines of text. The linear gauge control updates to reflect the current value of its source tag. Linear gauges can be positioned vertically or horizontally. High and low limits can be set to indicate when the value is approaching a limit. The panel control is a container that other controls can be positioned on. When a panel is moved, all the controls inside it move as well. You can set a high or low limits to change the background color based on a tag value. The paragraph controls is similar to the label control, but it has word wrap enabled. The height of the control is dependent on the amount of text it contains. The spark chart control is like a mini trend graph control. The duration and color of the trend can be set, but no user interaction is available. This control updates in real-time and is meant to display the profile of a tag. 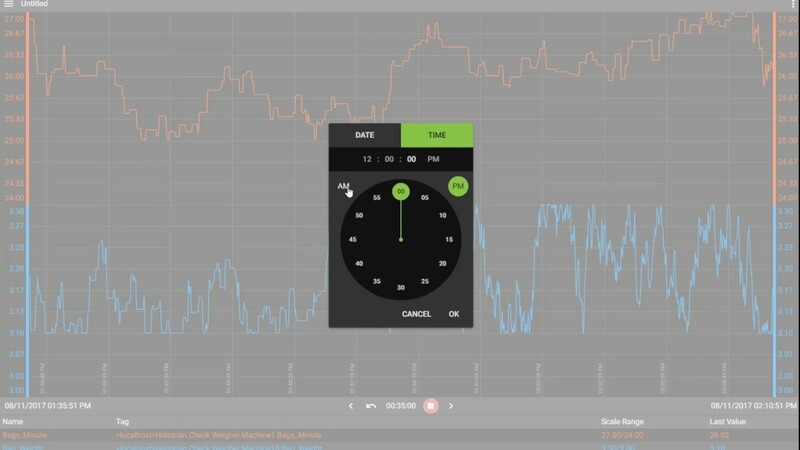 The trend graph control is the most sophisticated control available in Axiom. It is used to display real-time or historical trend data of one or many tags. It can also be used to compare assets or events. The value box control shows the current value of its source tag. High and low limits can be set to change the background color. The value can also be formatted accordingly. Deploy Axiom as an HTML5 application, desktop application, or both. Axiom runs on a centralized server to simplify management and licensing. Use ClickOnce to automatically perform updates for desktop clients. Use HTTPS for browser clients and user credentials for all clients.